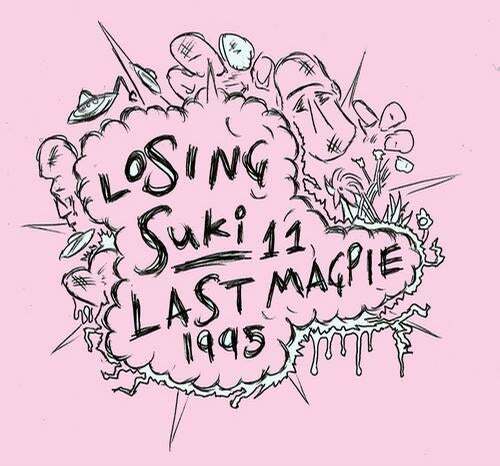 Although his last record for Hypercolour - Who Knows (Where Love Lives) - is still very much owning dancefloors worldwide, Last Magpie is back with another sound package on sister imprint, Losing Suki. This time we find the mysterious producer in slightly heavier, bassier mode, toying with deep house tropes and myriad UK influences in equal measure. '1995' opens the EP with darting, brightly coloured synths shooting in all directions from a churning percussive clatter that runs up the middle. Bass stabs keep things nice and airy feeling, and fractured vocals bring the all-important human and hooky element to the track. Despite being restless and itchy, it still manages to retain a certain house-y soul. Then, 'Hypno' channels some dark energy through woodblock hits, STL style, as ripples of a human voice roll to the edge of the track and beyond. All tightly coiled and kinetic, it's an eerie and spacious track to take the mood of any dancefloor down a notch or two. Next, 'Roots' is a subtle take on a tried and tested garage template with swirling, backward sounding LFOs snaking around beneath sharpened chord stabs and a touch of the Balearic synth work he is fast becoming known for. Finally, 'Fallen' turns right in on itself. Introverted and sombre, wallowing and watery, it comes from deep under the surface with only the thinnest rays of light permeating a skeletal percussive rhythm. The occasional melodic snowflakes that also rain across the face of the arrangement are bliss and beautiful in equal measure. Though Last Magpie is adept at crafting catchy bangers, this one might just be his most assured track to date.